This course is designed specifically to prepare a student to handle all aspects of a civil case. The course looks at the trial process from start to finish and examines the paralegal’s role and the rules that the paralegal must follow in fulfilling that role. The course looks carefully at all of the steps in a civil case, commencing with the initial client interview and following the civil litigation process through the initial investigation, drafting and filing of the complaint, the discovery process, preparing for trial, assisting during trial and finishes with a look at the paralegal’s role in the appeals process. 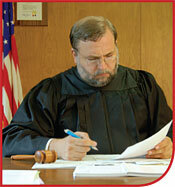 Special attention is paid to pleadings and motions and to preparing and filing discovery requests and responses. Help attorneys throughout the trial process by keeping a trial notebook, tending to witness’ needs, etc. Assist with the preparation of appellate briefs, including the preparation of a table of authorities, statement of issue, etc.